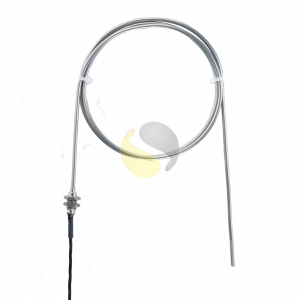 Mineral Insulated RTD (Pt100) with threaded pot seal and 1 metre lead wire. 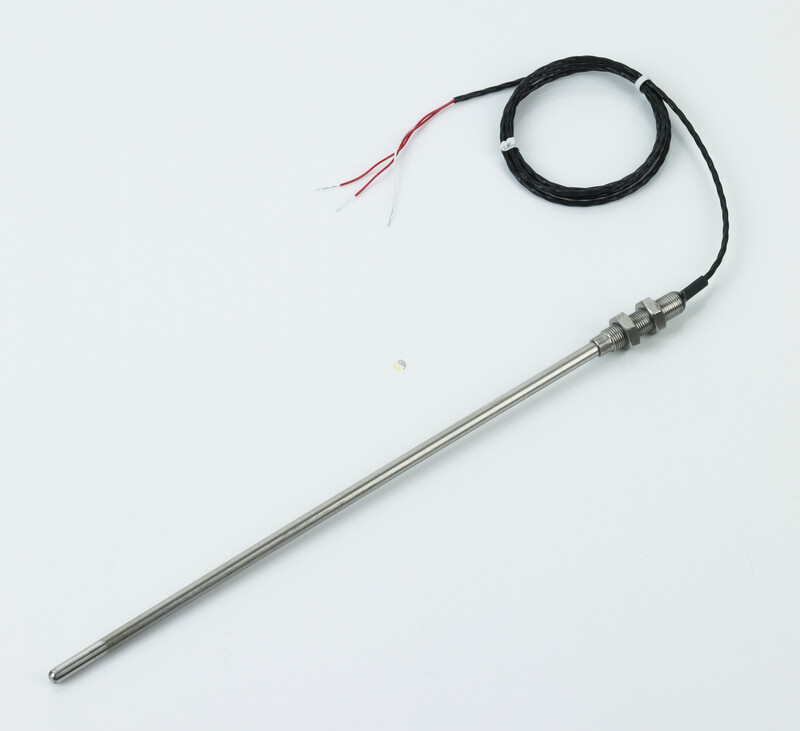 Mineral insulated resistance thermometers are suitable for use with temperatures up to 600°C. 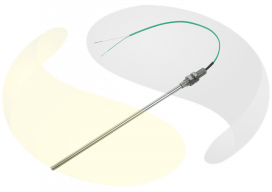 The RTD is supplied within a 3mm or 6mm diameter probe which can be supplied in various lengths. 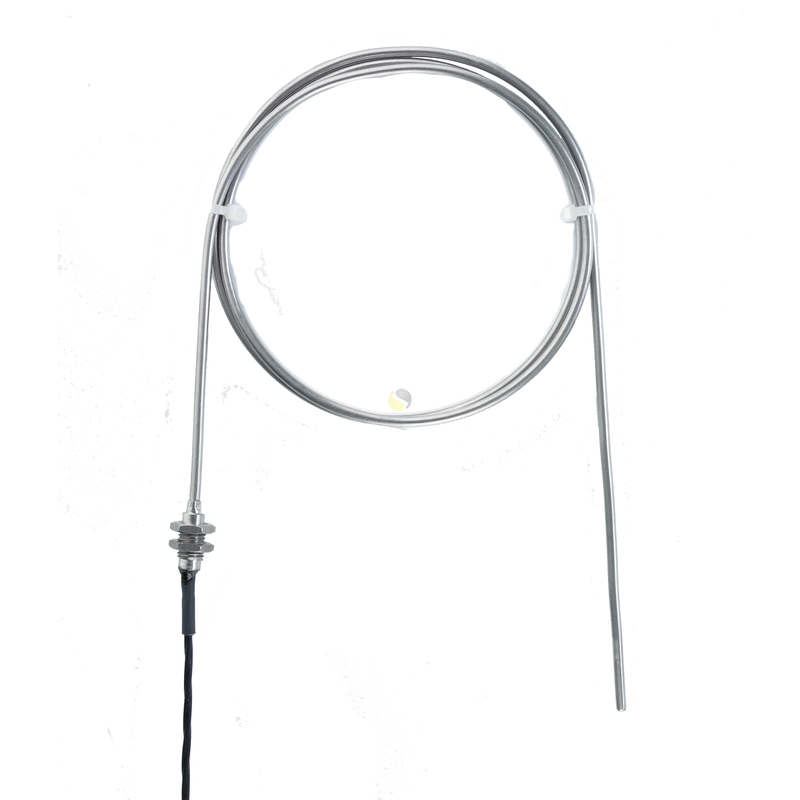 The sensor is terminated with an M8 threaded pot seal; epoxy resin filled with one metre of FEP/FEP insulated leads for connection to a process or instrumentation. 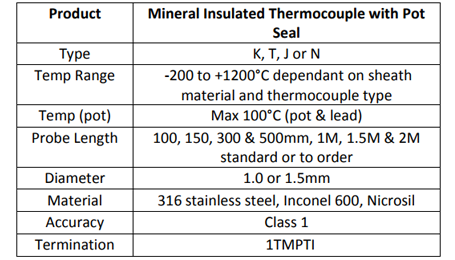 Although shown straight, mineral insulated resistance thermometers can be shaped using formers (with a radius of three times the probe diameter) or manipulated to angles to suit the application. 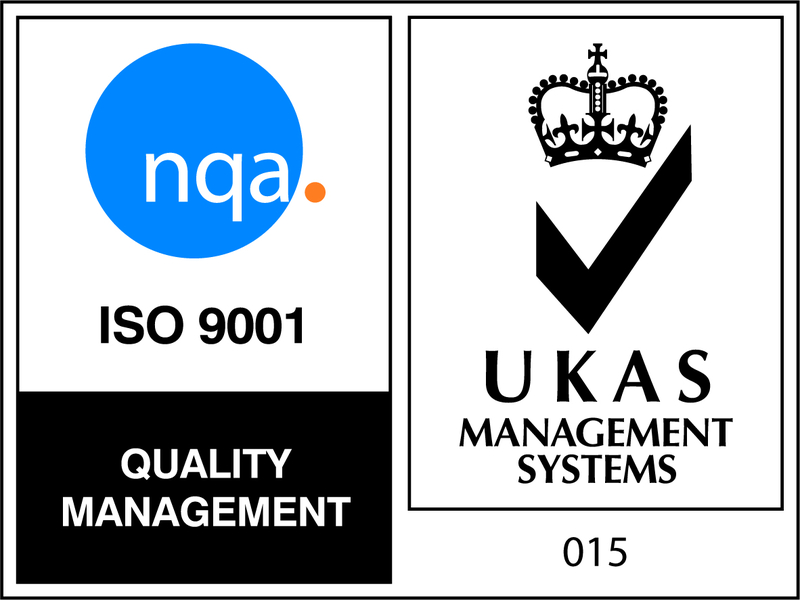 They can also be manufactured in very long lengths.